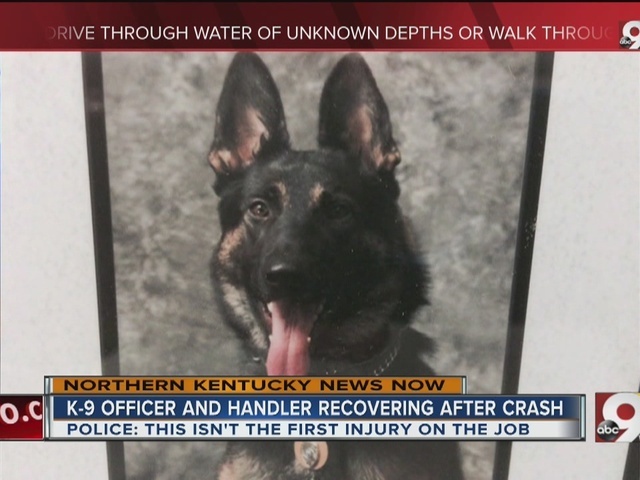 COVINGTON, Ky. -- A police dog shot in the line of duty about a year ago has been injured again, this time in a hit-and-run crash on a Northern Kentucky interstate. 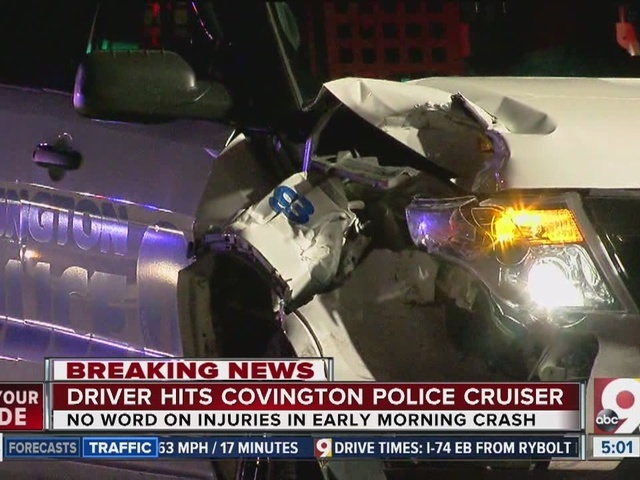 Someone struck Covington Police Officer Michael Lusardi and his K-9 partner, Ernie, at about 1:30 a.m. Thursday while they were on southbound Interstate 75 near Turfway Road. The Florence Police Department is investigating the crash, which left "moderate to heavy damage" on Lusardi's police cruiser. 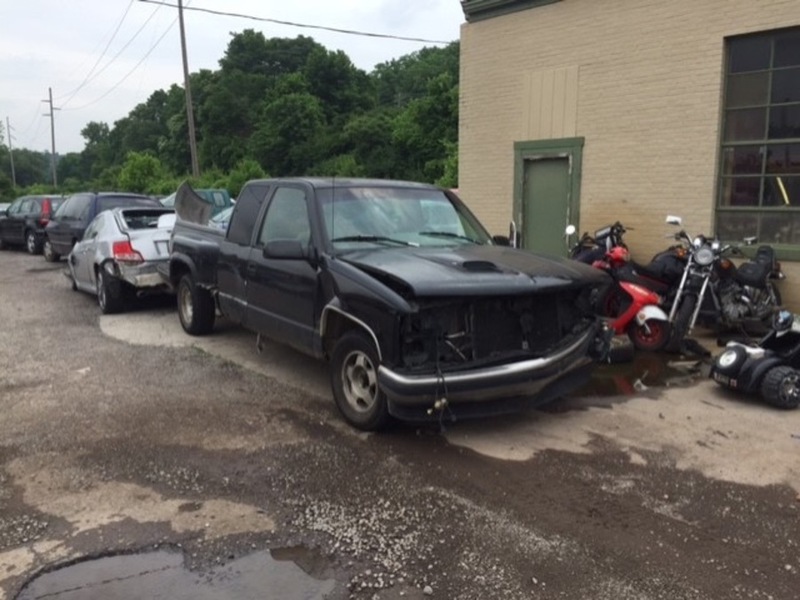 Police got a tip from a person in Bellevue, Kentucky, who recognized a truck fitting the description of the vehicle involved in the crash. Capt. Tom Grau, of the Florence Police Department, said investigators are confident it's the same one. Grau said they've spoken to the owner of the truck, and while they don't believe he was driving it, they said he has an idea who it might've been. "Any time somebody has that little regard for the general public, not even an officer, it kind runs a red flag to us," Grau said. In April 2015, Ernie was shot in the paw when officers attempted to arrest a man in connection with the stabbing of his mother. "They've been through a lot together, those two have, yes," Covington Assistant Police Chief Brian Steffen said. Lusardi was taken to St. Elizabeth-Florence where he was treated and released. Ernie is currently home but has been scheduled for more in-depth medical evaluations. Lusardi will be on medical leave pending follow-up medical examinations. "Ernie's had a wild career," Steffen said. "He's always bounced back to the things that have happened to him, and you know, with animals it's a lot harder to tell what hurts on them."